As the New Year approaches, I like to get organized. 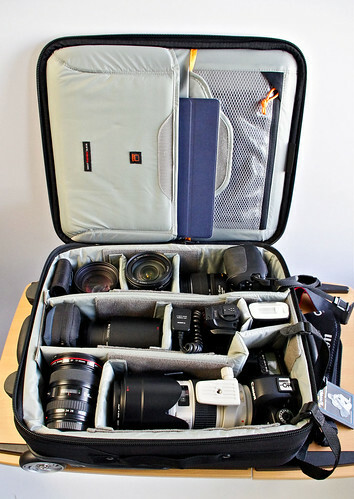 One of the best ways to store and transport camera gear is with a professional roller bag. 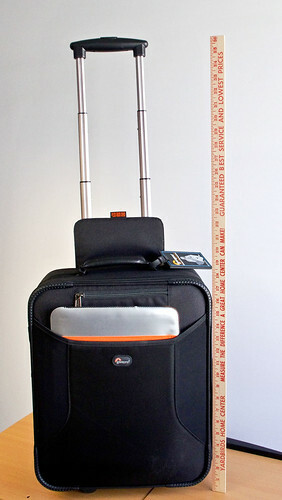 I've been testing the new Lowepro Pro Roller Lite 150 AW, and it has become my new "go-to" hold-everything bag. It stores a ton of gear, yet it is ever so nimble: exterior is only 14.0 x 7.3 x 18.8" (35.6 x 18.4 x 47.6 cm). 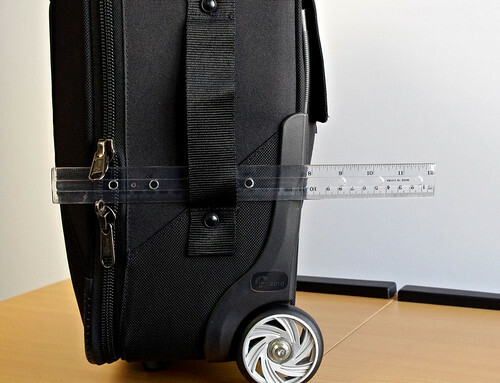 That means it will fit in the overhead compartment of virtually any commercial airplane. Nimble, yes. But this roller stores a ton of gear too. The 150 AW has durable YKK Zippers that accept your TSA lock. On top there's a padded handle, but there are also handles on the other three sides. No matter which way you reach for this bag, you'll have a handle to pull. The in-line skate wheels are user-replaceable with wheels that you can get at any skate supply shop. If the weather turns bad, pull out the attached All Weather cover to protect your gear. (Have you seen the cute stop motion video of the Pro Roller with the AW cover?). The dual-bar extendable handle hides in the back of the bag keeping the overall depth to less that 8". Stretchy front pocket great for disc reflectors, documents, or a MacBook Air. If you need a stylish organizer for stowing your gear at home, yet has the versatility to roll out the front door for a road trip, take a look at the $259 Lowepro Pro Roller Lite 150 AW. Great looking, nice capacity, and oh so nimble.